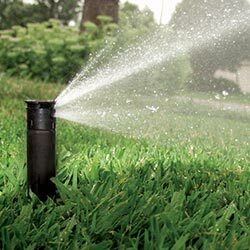 Rotating sprinkler nozzles can help you reduce harmful water runoff that flows off your landscape and eventually enters the ocean. Using multi-trajectory, rotating streams of water, rotating nozzles water more efficiently and uniformly than traditional sprinkler heads. They can reduce your outdoor water use by up to 30%. Click here for a list of rebate-eligible rotating nozzles. Residential Rebate Level: $2 (or more) per nozzle, with a 30 nozzle minimum. Commercial Rebate Level: $2 (or more) per nozzle, with a 30 nozzle minimum.